Book Blurb: Storm Earls is a young teenage girl from London, whose parents work for a hi-tech science company. 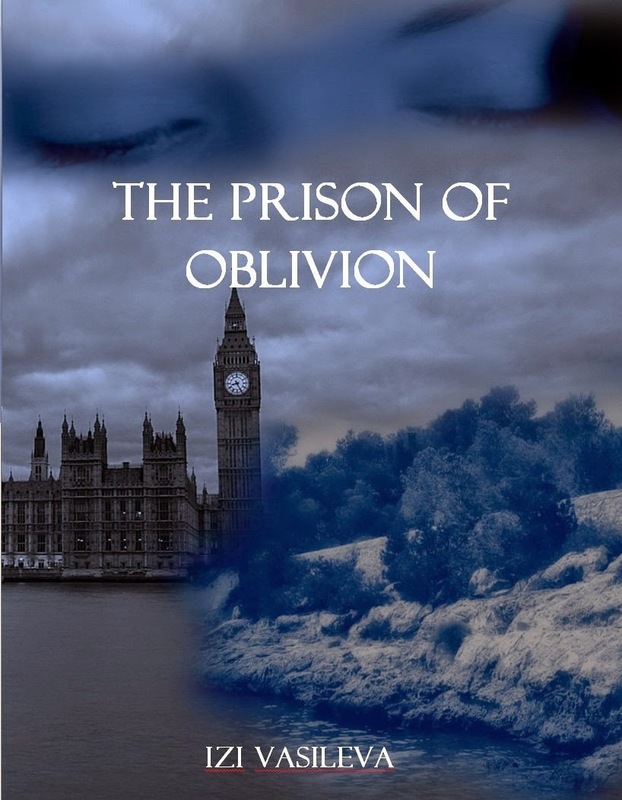 After her parents get involved in a dangerous project creating the most addictive drug ‘Oblivion’, Storm is sent on a deserted island as insurance for her parents’ continuous collaboration on the project. On the island the young girl’s curiosity takes over her and she begins to uncover facts about her life that up until now she has been oblivious to. Eager to find out more and get back home, Storm takes on a dangerous journey filled with battles against a multimillionaire corporation and the wildlife of the island. Along the way the young teenager finds a lost friend of hers, while making new friendships and even finding love for the first time. But with finding friends comes losing friends. Who will Storm lose and would she ever be able to return to London? Author’s bio: Izabel (Izi) Vasileva was born Apr 1991 in Bulgaria, where she grew up surrounded by loving friends and family, who have always encouraged her to follow her dreams and always supported her decision despite the fact how crazy they were sometimes. At the age of 18 she decided to move to UK to study and follow her dreams, that’s when a lot of people she knew told her ‘You can’t do it.’. Izi as stubborn as she stood her ground and told them ‘Just watch me.’, which is what she says every time someone doubts her abilities. In 2009 she moved to Canterbury, where on her own she faced the challenges of being independent and living away from home. She learned quickly to adapt and made many new friends along the way. Books have been a passion of hers for a while. She likes to get lost between the pages of a good fiction. Her favorites are YA novel and the very first book that captured her attention completely was Twilight. After some unfortunate events with one of her friends, Izi finally decided to put the idea, which has been in her head for couple of months, on paper. 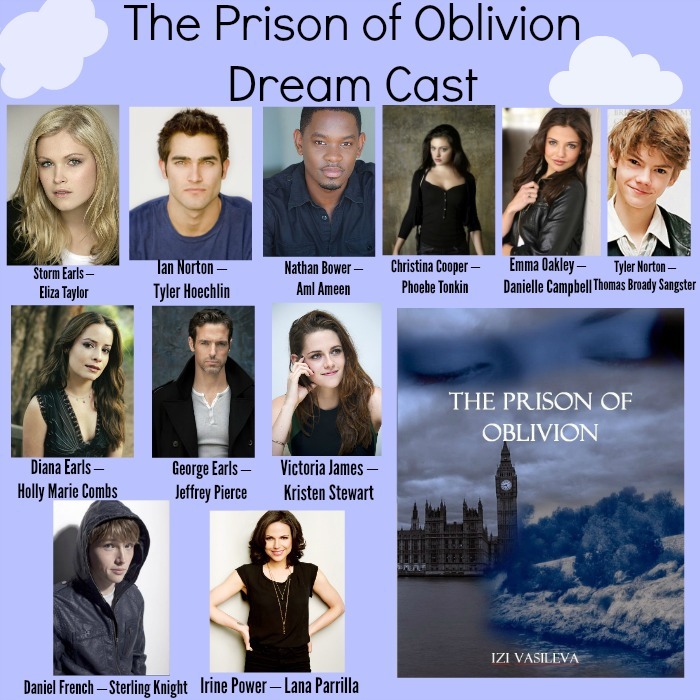 That’s how Izi’s first novel The Prison of Oblivion was born. The author loves expressing her feeling through her stories, but fully realizes that she needs to write more and learn more about writing before she becomes one of the authors, who readers truly admire. To all the readers the author says ‘If you like fiction and YA novel, give me a chance.’. Blrub Modern love can be a headache. Just ask Annie Morgan, who, recently divorced, finds herself in the middle of the proverbial online dating jungle. Making a deal with her best friend, Annie agrees to go out on exactly five online dates out of seventy-six potential suitors. Shane Nicholls was jaded, he had his heart broken and never got over the hurt. Now, convinced that all women are trouble, he avoids drama at any cost. Funny thing is, drama seems to find Shane around every corner. Can Annie, a romantic at heart, find love online or will she find love at first sight the old-fashioned way, by awkward, chance meetings with Shane Nicholls? Through a number of obstacles and heartache, Annie and Shane find that love at first sight really does exist if you truly believe. Mia Dennsi is a beautiful young woman who has experienced a challenging childhood. As an out of work teacher, Mia accepts a position for home-schooling a troubled, misunderstood teenager. Mia makes it a priority to help Cassidy overcome her challenges and reach for her dreams. In the process, Mia experiences healing of her own; she is faced with issues she must now come to terms with. 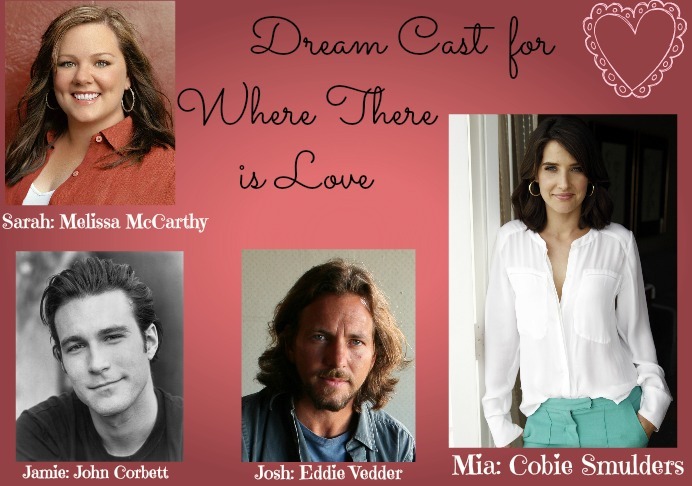 Mia finds a rare friendship in Jamie, her caring and attractive neighbor. The relationship starts off as friendship, but will Mia let this healthy friendship bloom into something more or is she destined to a repeat the vicious cycle of making the same mistakes over and over again? Through the various twists and turns of Mia’s love life, she is forced to make a decision that will affect her entire future. The reader cannot help but root for this character to succumb to true love and happiness. I would have done anything for that girl. Anything. I have dreamed of Mia, I have waited for Mia. I have loved Mia. I can’t trust Mia. I can’t get my hopes up again, only to be crushed by her. I couldn’t stand it. She doesn’t allow herself to be happy. What has happened in her life to cause her to reject the people who love her, who care for her? I remember the first time I ever laid eyes one her. The way she bumped into me, how embarrassed she was. I swear to this day that she is the most beautiful creature I’ve laid eyes on. Her slim build, dark hair and striking eyes. And that smile, that smile still warms my heart. I went to see my grandma in Maine for the weekend once I realized that I was falling in love with Mia. My grandmother and I have always been close. She has been there for me through thick and thin ever since I was a child. I grew even closer to her as I was growing up, finding my way in life. For some reason, I always found it easiest to share my feelings with Grandma, the two of us like kindred spirits. My feelings for Mia scared the life out of me. I told my grandmother that I didn’t want to risk getting hurt again and that Mia seemed so unsure of herself. She offered me a piece of advice that I will hold true to my heart forever: She placed her hand over my heart and said, “Go where there is love, surround yourself with love.” So I did, I went to Mia and tried to tell her how I felt, only to be brushed off with news of Josh coming back into the picture. I’m happy with Danielle, she’s smart and she’s beautiful. Yeah,I’m going to give this a chance, I would be a fool not to. But...I think...she’s not Mia. A: Mia: I haven’t had much luck in the romance department. Past boyfriends haven’t always been the best choices for me. I suppose you could say that right now I’m kind of torn between a guy that I had a huge crush on and a neighbor whom I’ve become close friends with. I’ve never been friends with a guy like my neighbor before, Jamie is everything that a woman could ask for. Q: But? A: Mia: It’s complicated, let’s leave it at that for now. The thing is, I don’t want to lose Jamie as a friend. Q: It seems that you have a lot to think about. The choice seems clear to me, what’s the issue? A: Mia: Like I said, it’s complicated, but I can’t imagine my life without Jamie. Mya O’Malley Bio Mya O’Malley was born and raised in the suburbs of New York City, where she currently lives with her husband, daughter and three step-daughters. The family also consists of two boxers; Destiny and Dolce and a ragdoll cat named Colby. Mya earned an undergraduate degree in special education and a graduate degree in reading and literacy. She works as a special education teacher and enjoys making a difference in the lives of her students. Mya currently has two new releases: At First Sight, a contemporary romance about dating in the modern world, published by Astraea Press, and Where There is Love, a contemporary romance in which a woman struggles with past obstacles, ultimately faced with whether or not she will open her heart to love. 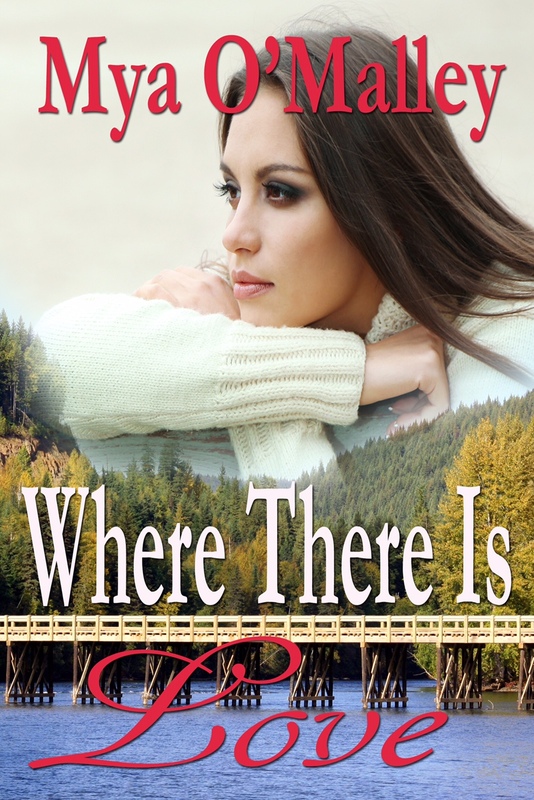 Where There is Love is published with Solstice Publishing. Mya is excited to say that Astraea Press will be releasing her contemporary holiday paranormal romance titled If You Believe on November 25, 2014. Due to be released late January is The Calm After the Storm, published by TouchPoint Press. This novel is a contemporary romance taking place in the setting of Hurricane Sandy. The story revolves around the idea of a utility worker from Georgia falling in love with a woman in New York. 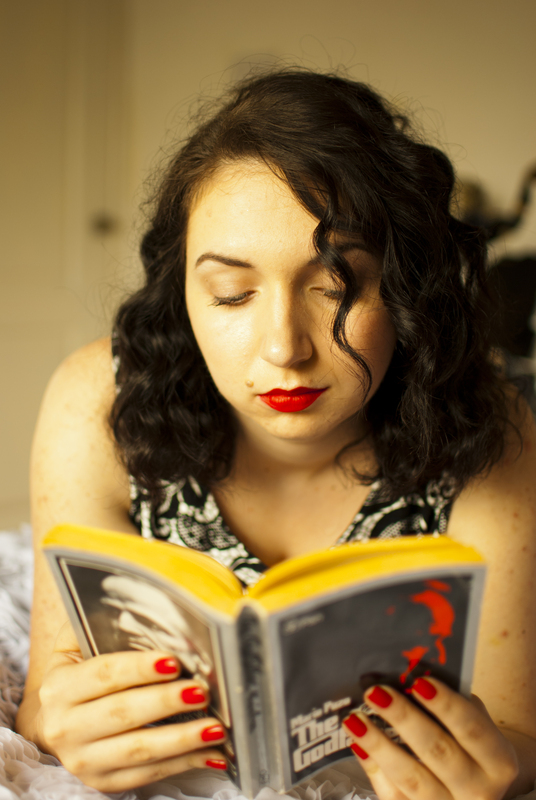 Mya’s passion is writing; she has been creating stories and poetry since she was a child. Mya spends her free time reading just about anything she can get her hands on. 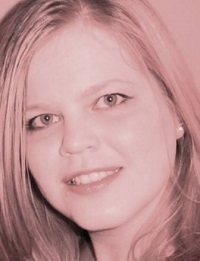 She is a romantic at heart and loves to create stories with unforgettable characters. Mya likes to travel; she has visited several Caribbean Islands, Mexico and Costa Rica. Mya is currently working on her sixth novel. Oh, I love my covers! I’m so excited to display my covers while marketing and showing others my books. 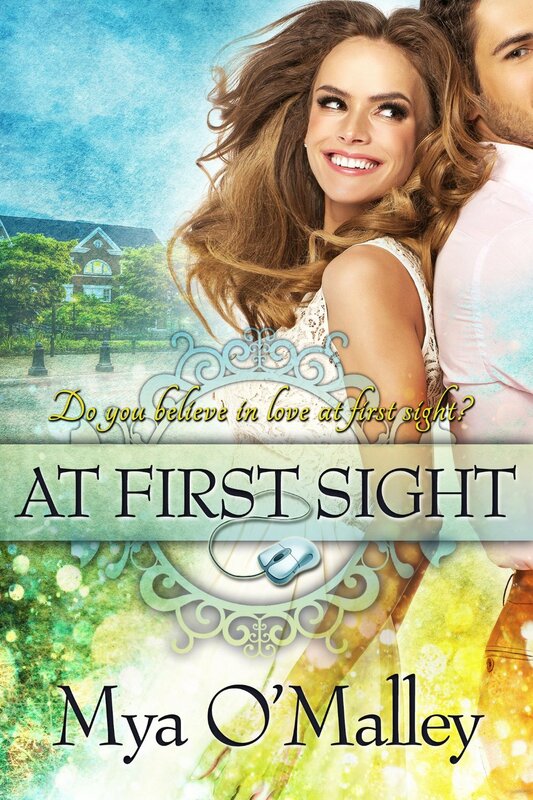 My cover for At First Sight is perfect for this story. The cover is fun and flirty, it portrays my characters perfectly. My main character, Annie, reluctantly tries online dating after her divorce while holding out for the idea of love at first sight. The cover has a computer mouse in the center of the beautiful cover. My publisher, Astraea Press, provided the cover for this book and the designer, Cora Graphics, was wonderful to work with. They asked for descriptions of the characters and setting, the theme of the book and feedback from me. I loved that cover immediately. The cover for Where There is Love, published by Solstice Publishing, is another perfect fit for my book. I selected Classy Designs to create the depiction of my main character, Mia, and the setting of my story. I communicated my thoughts for the cover with Classy Designs and I was excited to see the final cover meet my needs. 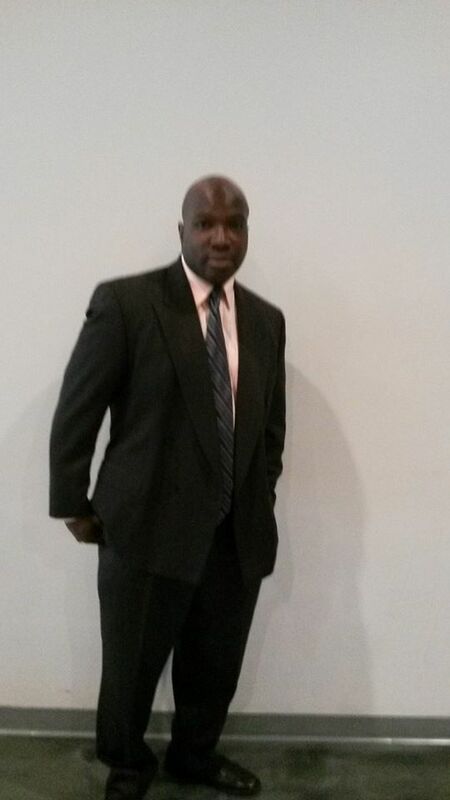 Classy designs was flexible and easy to work with. I think it’s so important to have a cover design that catches the reader’s eye, I’m pleased to have covers that I’m so proud to speak about. We all know who collects the baby teeth; but, who collects the teeth when someone older, like Mommy or Daddy, loses a tooth? The retired tooth fairies do! 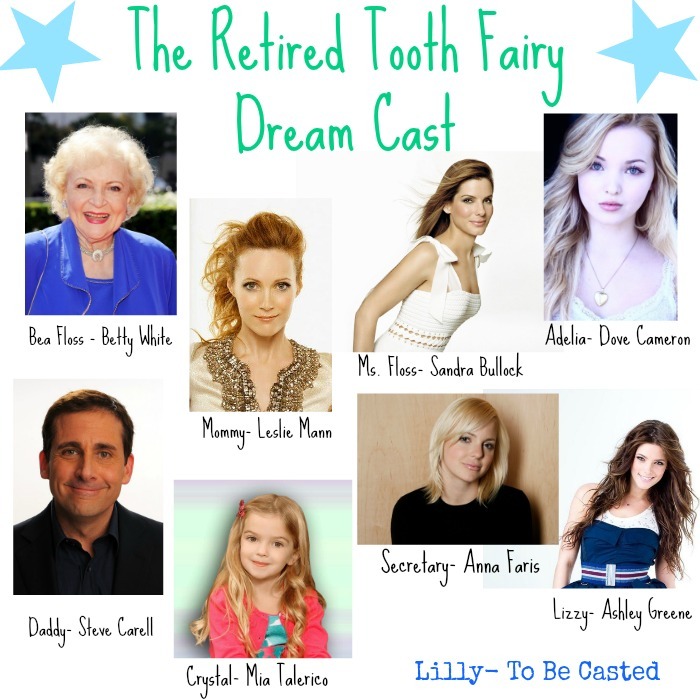 “The Retired Tooth Fairy” follows the misadventures of one of these fairies. And her name is Bea. 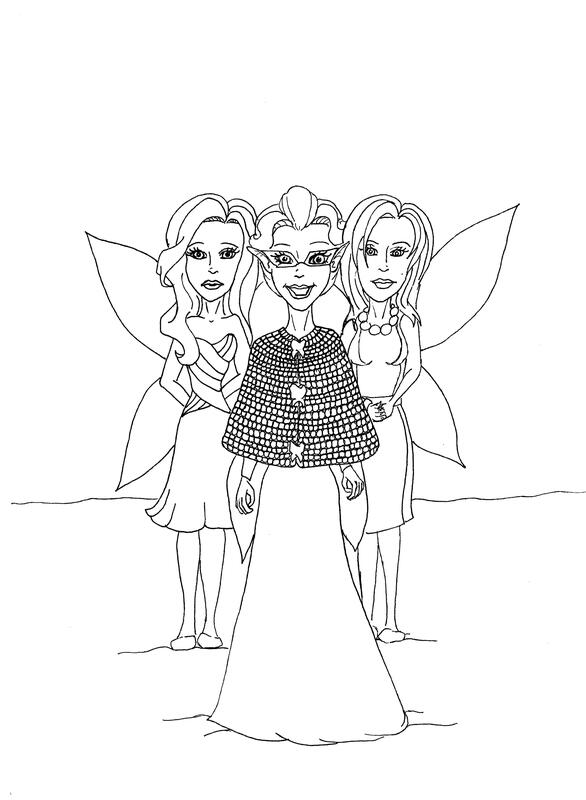 When the head fairy, Ms. Floss, gets swamped, she enlists the help of The Retired Tooth Fairy. Bea happily accepts her request and starts on her journey. But collecting these teeth will prove to be no easy task. Bea will have to risk being discovered by humans in order to return home before the magic of her "Youthful Dust" fades away. Will she make it home in time? Find out as you join Bea on her misadventure. Adelia: Oh it is absolutely awesomely cool! There are a lot of similarities between our worlds--with the exception of magic. Oh…and flying. And being super tiny. But if you take away those, we live normal lives just like you! We go to school, hang out with friends, take a stroll in the park, and play Flossy Ball. Our buildings are made out of melted down teeth, and we have a set of rules to follow. Adelia: Grandma, it happens every time you go out to complete a case. I think the Sprites get most of their jobs from your…um...mishaps? 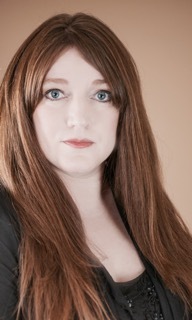 Author Bio: Jaclyn M Bartz is a lifelong artist and writer, with humbled healthcare background. Life took an unexpected turn which led her to her ideal career as a children’s book writer/illustrator. As a child, she spent her days writing stories and drawing pictures. Even though she loved these activities, Jaclyn pursued a career in the dental field. She wanted to be a dentist specializing in geriatric care. But destiny had other plans for her. After suffering a string of personal tragedies, literally weeks before becoming a licensed dental hygienist, Jaclyn jumped at the chance to write and draw for children. Now equipped with her love of art and writing, and her knowledge of patient education and oral healthcare, she is finally able to pursue a career as a children's author while doing the things she enjoys most. And she has never been happier. Opening Question Tell us a little about yourself and your background? After facing a setback before becoming a licensed dental hygienist, I ended up tapping back into who I was born to be—a writer. And years later, I have just published my first book, The Retired Tooth Fairy, I am getting ready to publish my next book, and have created my own publishing company, Green Owl Publications. 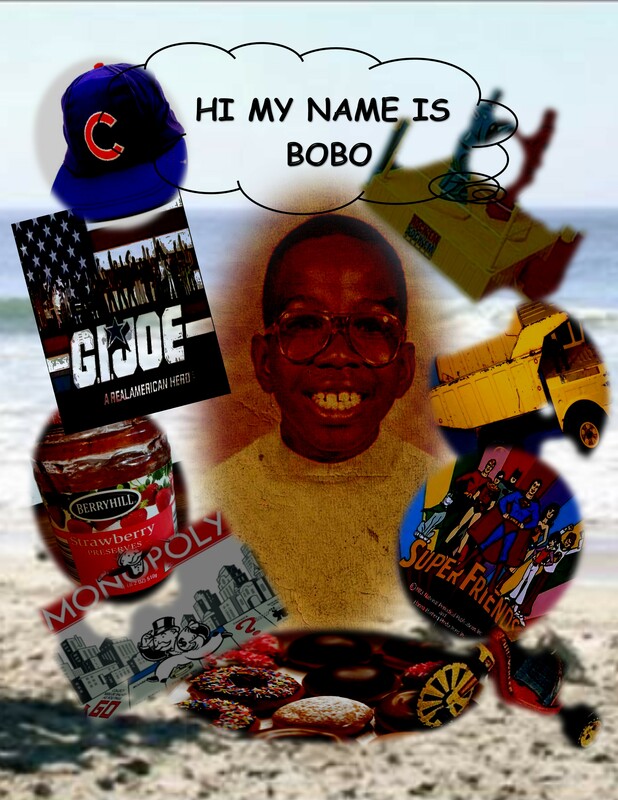 Additionally, I am an independent blogger and book reviewer who frequently volunteers with the Midwest Book Review. When I am not writing, I am creating artwork such as album covers, custom tattoos, and graphic images. Life is busy and I am blessed to have the opportunity to do what I love. Q1. Give us an insight into your main character. What does he/she do that is so special? 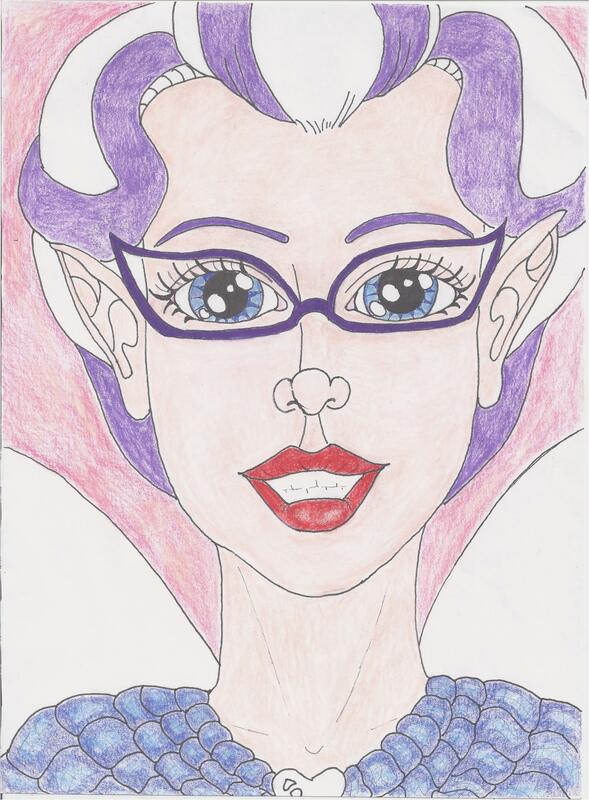 Bea, “The Retired Tooth Fairy”, was inspired by a conversation with my daughter after she had lost another tooth. When she asked me about who collects a mommy or daddy tooth, the character just jumped out of my mind and took a breath of light with each giggle we shared. 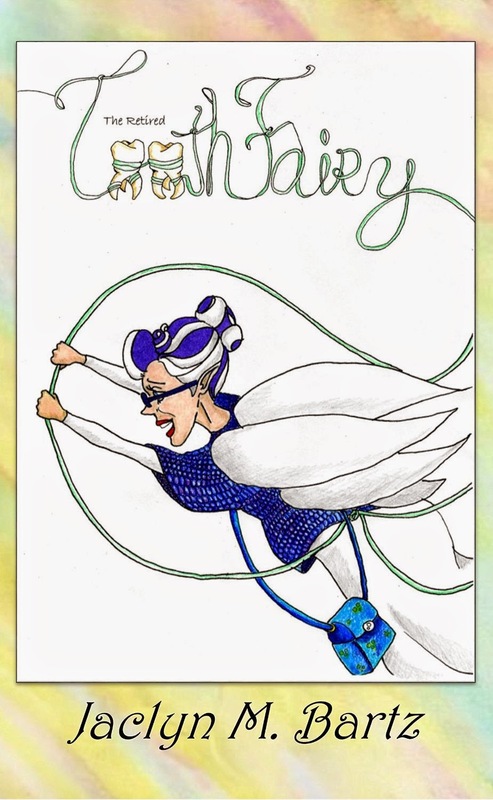 She is not an ordinary tooth fairy—so I had a lot of fun filling in her personal story. Bea is short for Beatrice (which means traveler) and is also a representation of my last initial (“B” for Bartz). She is the first fairy—that I know of—whose purpose is to collect the often neglected adult teeth. They should be the easiest teeth to collect; however, Bea always finds herself in trouble when going out on her “adventures”. What I love about her is her ability to keep trying no matter how difficult her situation appears. She often uses her creative problem-solving skills to get out of her messes, even though they tend to lead to even bigger obstacles. She always maintains her kindness toward others and embraces her limitations with humor and grace. My ideas come from two places: life and my imagination. There are things in life that will spark the creative candle in my head and force it to burn with the brightest light possible. I have no fear of exploring concepts I have never experienced. I am an empathetic personality. I can place myself into various situations and do my best to understand the emotions that are felt. I guess it is my way to try to get a grasp about the world around me. It is actually a unique gift because it helps me visualize and feel those deep feelings as if they are happening when in fact they are not. I used to think I was weird to be able to do that until I met some other artists who have the same creative quirk. My imagination helps me to explore things that are not of this world. These are the ideas that explode from the “what ifs” or “why nots”. I love twists on things or to make something up that no one has ever seen or heard. My sketchbooks are filled with all kinds of different things—from space beings to magical creatures and strange worlds. I love Surrealism—think Salvador Dali—because it emphasizes moving beyond that creative box and exploring the outermost depths of the imagination. I try not to limit where my ideas take me. Art has no boundaries. Closing Question Do you let the book stew – leave it for a month and then come back to it? I do let my books stew. I like to have a fresh pair of eyes to look it over. This way I am able to season it with interesting content while trimming out the fat. But I repeat this process a few times before sending it off to be professionally cooked and packaged.